How does Impact 100 work? Engaging at least 100 women in giving $1000 each year. Allowing each woman with a Full Membership or group of 2-4 women in a Shared Membership, a vote in deciding how our grants are awarded. Educating members about community issues and the nonprofits that are addressing those issues most effectively. Using Focus Area Committees comprised of members who choose to be involved in the grant review process to follow our document processes to choose Finalist nonprofits. Awarding at least one annual grant of $100,000 to the Finalist nonprofit who receives the most member votes at the Annual Dinner. One $100,000 grant is given for each 100 memberships. The other Finalists share the residual grant pool (membership donations to the grant pool over $100,000). Why is the required donation set at $1000? We believe this amount ensures member commitment. It also keeps the cost of raising money for our grants low. To raise $100,000 through smaller donations would mean recruiting many more members at a greater cost. Note that up to four women can share in making a $1000 donation. You can make your membership donation using our online form at any time. What is a Shared Membership (also known as a Syndicate)? While the greatest impact comes from each woman donating $1000, Impact 100 Greater Indianapolis offers Shared Membership (Syndicate) memberships. A Shared Membership allows 2-4 women to pool their money and share a membership. Each Shared Member has full membership rights (serving on committees, attending events, etc.) with the exception of the women in a Shared Membership may cast only one vote at the Annual Dinner, and must agree on how that vote is to be cast. Before considering a Shared Membership, we would encourage you to review your annual donations and weigh the difference between the multiple organizations you support against making the commitment to help Impact 100 fund a transformational grant, and the opportunity to see your donation have an impact on our community. Shared Memberships can be made up of family members (sisters, mother/daughter, aunt/niece, etc. ), friends, co-workers, or any group of 2-4 women who want to join without the full commitment. We may even be able to help you find other women to create a Shared Membership. You can learn more about Shared Memberships in our Shared Memberships FAQ. 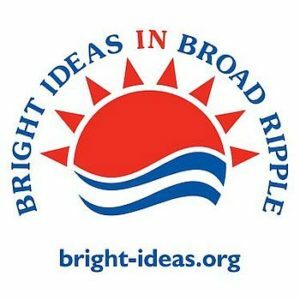 How can I become a member of Impact 100 Greater Indianapolis? You may join anytime by going to our Membership Page. Membership donations received by December 31 of any year provides membership through December 31 of the following year and goes into the next year’s grant pool. Only two things are required to be a member: You must be a woman age 21 or older, and you must donate $1000, or be part of a Shared Membership that donates $1000. You are then encouraged to make an informed decision when you vote for a grant recipient, either in person at the Annual Meeting or by absentee ballot. If you would like to be more involved, you may serve on a Focus Area Committee to review and evaluate grant proposals (this year’s FAC meeting schedule can be found here). You may want to attend site visits to some of the nonprofit applicants for the grant. You might decide to join a committee to help plan the Annual Meeting, or brainstorm ideas for telling more women about Impact 100, or think of educational topics to present to our members. The choice is yours as to how involved you become. Members join throughout each calendar year, but no later than December 31. The grant-making process then begins in January, and ends when the grant recipients are determined at the Annual Meeting in June. The amount of money in the grant pool on December 31 determines the grant amounts to be awarded the following June. An Impact grant is given for each $100,000 in the pool, with the residual divided equally among the other finalist organizations. Is my donation to Impact 100 tax-deductible? Impact 100 Greater Indianapolis is an IRS recognized 501(C)(3) charitable organization. Your donation is tax deductible to the full extent permitted by law. Donations to help cover operating costs are also 100% tax deductible. How long is my membership in Impact 100? Each membership is for the current year’s grant cycle. Women who donate by December 31 of any year are members for the following grant cycle that runs January to June. Each year, we welcome a combination of new and returning members. Do I have to live in the Greater Indianapolis area to be a member? How much of membership fees go toward the grants versus operating expenses? A full 100% of Impact 100 membership contributions – each and every dollar – is awarded in grants to nonprofit organizations. How does Impact 100 pay operating costs? Members making donations designated for operating costs in addition to their membership donation. Spouses, friends and employers who support a member and the organization through donations designated for operating costs. Employer matches, corporate sponsorships, and in-kind donations. Donors who donate additional funds to cover their credit card and United Way designation fees. You can make a donation to help pay operating costs at any time using our online form. Are there any added benefits from the work of Impact 100? Nonprofits who have received grants and who have been finalists tell us they have received donations outside of the Impact 100 grant process as a result of increased awareness of the nonprofits’ good work. Impact 100 members have become actively engaged with some of the nonprofits they were introduced to through the granting process, either by serving on a nonprofit board or by assisting a nonprofit with special needs or projects beyond the Impact 100 grant program. If I can’t make a gift of $1,000 is there a role for me? Yes, a very important one. You can bring in other women for a Shared Membership. You can also make a non-membership donation to Impact 100 and designate your gift to be used to help provide a scholarship membership or to help pay our operating costs. Who is on the Board of Directors, and what is the role of the board? The women on the Impact 100 Greater Indianapolis Board are Impact 100 members, each bringing a talent and diverse backgrounds to the board table. All are dedicated to carrying out the mission of Impact 100. Our board is a working board and there are no paid employees. How is Impact 100 affiliated with other national Impact 100 groups? Even though Impact 100 follows a model founded in Cincinnati and adopted by other cities, we operate completely independently. We do not pay fees or have official ties or obligations to any other Impact 100 program. However, we have benefited tremendously from the advice and encouragement from women in other cities. We are members of the Women’s Collective Giving and Grantmaking Network (WCGN), a national organization supporting organizations like ours with education and support. How is Impact 100 different from the Women’s Fund of Central Indiana and the United Way of Central Indiana’s Women’s Initiative? Women’s Fund of Central Indiana, a fund of CICF, is the only organization in the community solely focused on raising funds – at any level and from men and women – to address issues facing women and girls. It is a permanent endowment, meaning gifts are invested forever and a percentage is granted annually to local women- and girl-serving agencies. A volunteer grant committee and the Women’s Fund Advisory Board award grants. United Way of Central Indiana’s Women’s Initiative is focused on investing grants in successful kids, thriving families, healthy people and vibrant communities with a new focus on preschool children. Gifts are accepted at the $2,500 level where a match is available for new donors. Impact 100 is a pass-through fund with a yearly cycle of awarding at least $100,000 to one recipient from a broad grant audience. 100% of membership donations are given away each year. All members are women and each member has an equal vote in selecting the grantee. What types of organizations does Impact 100 fund? What types of projects does Impact 100 fund? Impact 100 funds projects addressing critical needs, undertaking new ventures, and proposing innovative ways to solve social problems and to create a more civil and respectful climate in our community. We encourage all greater Indianapolis nonprofits with the vision and capacity to manage a gift of this size to apply. How do you decide who is awarded the grants? Each year, we solicit grant applications from hundreds of nonprofit organizations in five focus areas: Arts, Culture & Preservation; Education; Environment & Animal Welfare; Family; and Health & Wellness.. We form five committees made up of our members, one for each focus area. Each committee is chaired by an Impact 100 member trained in facilitating the grant review process. The committee accepts and evaluates grant applications – by researching and visiting applicants – to arrive at their committee’s finalist. We deliver information on the five finalists to each Impact 100 member for review. Then, we hold an annual meeting of the members where the finalists give a short presentation. At that meeting, members deliver a final decision by vote with each membership having an one vote. To get a better idea of the process, look at this year’s FAC meeting schedule here. Why does Impact 100 give large grants of $100,000 to a single organization? It’s simple: a grant of this size makes a large impact. Pooling our members’ resources allows Impact 100 members to be part of funding a project that has an impact on our community. When did Impact 100 make its first grant? 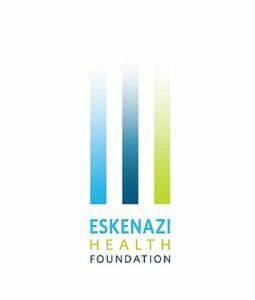 Impact 100 made its first grant award to the Wishard Memorial Foundation (now Eskenazi) to fund the Pecar Health Center Pharmacy in June, 2006. Can I see a full list of the nonprofits who have received Impact 100 Greater Indianapolis grants? Yes. Review our grant history on our Follow the Impact page or review our Giving Report (our version of an Annual Report providing more information on our organization over the years). The annual membership fee is $1000. You can make a membership donation at any time using our online form. You can pay by check, credit card, PayPal, stock, or United Way designation. The information on our Membership Page will walk you through the process. Impact 100 Greater Indianapolis is an IRS recognized 501(C)(3) charitable organization. Your donation is tax deductible to the full extent permitted by law. Donations to help cover our operating costs are also 100% deductible. Membership forms and donations are due by December 31 in order to be included in the grants awarded the following June. Yes. You can use your credit card directly to us or through PayPal. Please consider adding 5% to your donation to cover the credit card fees. Do I have to pay for my membership in one payment? Recurring Automatic Payments: You can set up a Kindful account (Kindful is our database system) to set up regular credit card payments. You have control over how much is deducted, how often, and can change or cancel the payments at any time. Recurring membership payments can only be used to PREPAY for annual membership because all membership donations must be received by December 31 to be a member the following year, so recurring payments made in 2019 MUST go into the 2020 Grant Pool for 2020 membership. Installment Payments: After making an initial donation of at least $250, simply tell us how you wish to divide the rest of your membership donation in the Notes section of the membership form. Note that the last payment must be received before December 31. We can invoice you or automatically charge your credit card according to your wishes. Please remember: we must receive the full amount by the December 31 deadline. Will you accept gifts of stock? We gladly accept stock donations for membership or other donations. Please go to our Donate Stock page and follow the directions for making a stock gift. Or contact us at impact100indy@gmail.com if you prefer to discuss this option before moving forward. If my employer has a matching program, will you accept this donation? Yes, we gratefully accept employer matching gifts. Funds matching your $1000 contribution play an important role, as they are applied toward operating costs. Please note this on the Membership Form and let us know if you will need documentation from Impact 100 in order to apply for the matching gift. Can I designate Impact 100 on my United Way donation form? You can designate the amount you wish to donate to Impact 100 through your annual United Way donation. Please be aware that United Way keeps up to 25% of your designation to cover their costs, and any employer United Way match will go to your local United Way agency and not to Impact 100. Please consider adding $250 to cover the United Way fees and avoid the fees having to be pulled from our operating funds. Why do you suggest members donate additional amounts to cover operating costs? 100% of every membership donation to Impact 100 goes into the grant pool to be given away to Central Indiana nonprofits. But we need additional monies to cover our operating expenses. These expenses include hosting no-charge educational events for members and guests, outreach to the community (including our scholarship program), publishing a monthly newsletter, maintaining our website, database and member management software, credit card fees, insurance, and mailings. We ask our members to consider contributing an additional $100 (Supporter) or $250 (Friend), and have added fundraising activities to a few of our events to ensure we can maintain our organization and expand our activities. When membership donations are made using credit cards, United Way, or other methods charging processing or administrative fees, we receive less than the intended donation. We make up the difference from our operating funds so the full amount of their intended donation is added to the grant pool. We are happy to offer convenient payment methods to our members and understand these fees are the cost of doing business in today’s world, but it is helpful when the women selecting these methods help pay the fees. Note that credit card fees vary from 3.5%-10%, and United Way fees can be as high as 25% depending on the year. I want to give more than $1000. Can I get more than one vote? No. Every member gets one vote even if they give more than $1000. If you want to give more than $1000, please indicate on the form how much you wish to donate toward the grant pool and/or how much you wish to donate for other uses: additional money into the grant pool (without a vote), scholarship donation to fund a membership for a local woman who wants to learn more about women’s philanthropy but can’t make a donation from their own monies, or to help cover operating costs. Can I make an in-kind donation of services or products to cover my $1000 donation? No. We accept in-kind donations for events and other operating costs. Contact us at impact100indy@gmail.com to discuss in-kind donations for our operating needs. If I can’t make a donation of $1000, is there a role for me? You may want to be part of a Shared Membership. Shared Memberships are made up of 2-4 women who want to join but cannot make the full commitment. Each Shared Member has full membership rights (serving on committees, attending events, etc.) with the exception that the members of each Shared Membership share one vote at the annual meeting in June. You may want to make a donation to support operating expenses. You may want to make a donation directly to the grant pool (these donations are non-voting donations and not memberships). You may want to make a donation to our scholarship fund, providing memberships to women who want to learn more about women’s philanthropy and Indianapolis-area nonprofits. You can use our online form to make donations at any time. Can men participate in Impact 100? Men can participate by making donations to the Grant Pool and/or to help pay our operating costs, by sponsoring a woman to be an Impact 100 voting member, or by funding a Scholarship for a young woman who wants to join but cannot afford a Membership on her own. Men can also participate by encouraging the women they know to become members.